Fifth Berlin Energy Transition Dialogue has commenced with the participation of Maldives. The dialogue is attended by Minister of Foreign Affairs of Maldives Abdulla Shahid. 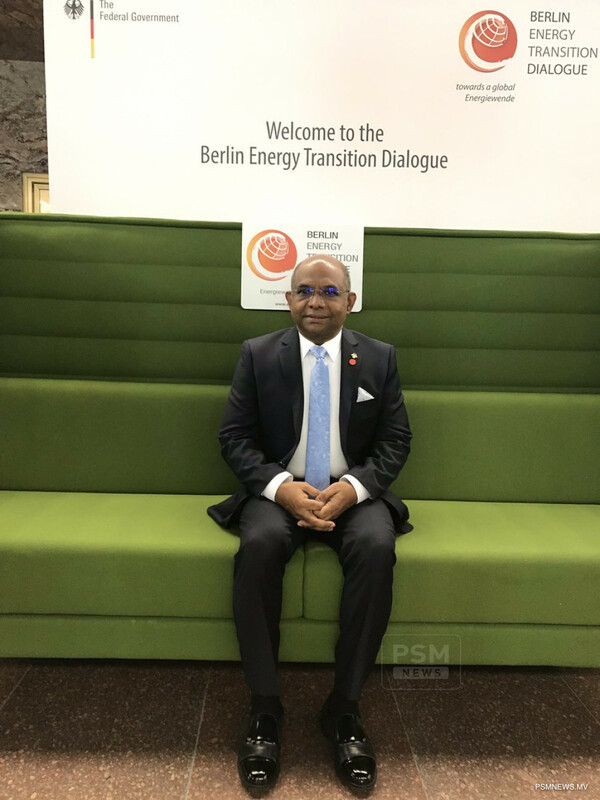 During the opening of the opening of the Fifth Berlin Energy Transition Dialogue, Minister for Foreign Affairs of Germany Heiko Maas told energy transition helps countries increase their energy security as well as replacing fossil fuels. The high-level Berlin conference was attended by ministers and senior government representatives from oil producing countries such as Iraq, the UAE and the US, which either in the past have exerted pressure through Organisation of the Petroleum Exporting Countries (OPEC), or more recently stirred international controversy with talk of energy dominance. As well as geopolitics, the conference will discuss issues such as digitalisation in the energy transition and how structural change can be achieved in a socially acceptable way. During the visit, Minister Shahid will also be meeting with German Foreign Minister Heiko Maas to hold discussions to enhance the existing bilateral relations between the governments of the Maldives and Germany and explore avenues for further cooperation between both countries.